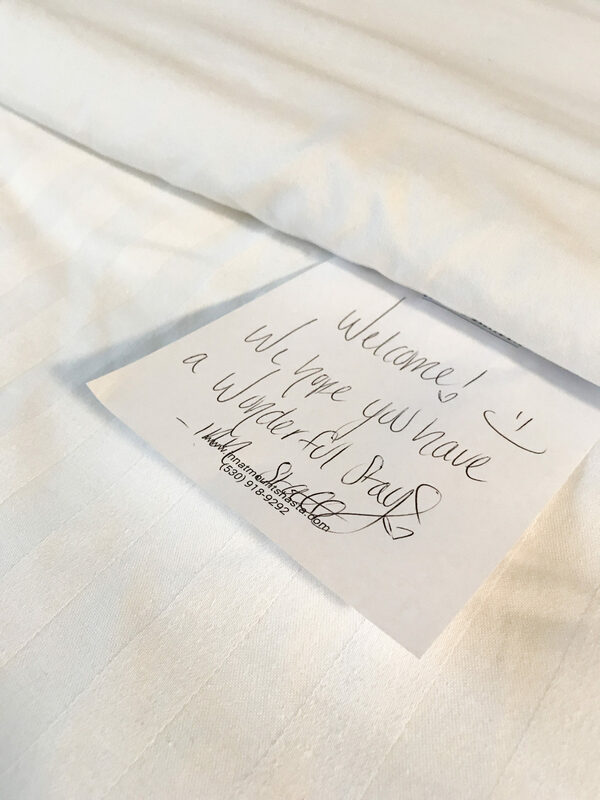 Recently, my husband and I stayed at the Inn at Mount Shasta. I loved the property; especially the new details, like the fresh signage out front and the Inn’s new look. I was curious about the Inn’s backstory, so I talked to the owner—Dan Korn—to get the scoop. In the spring of 2018, Korn flew from his home in Oakland to Portland to visit his grandfather, and on the flight, he saw the top of Mount Shasta. It was the first time he saw the mountain from the sky, and it piqued his curiosity. As soon as Korn landed, he looked up the location of Mount Shasta and noticed that it was only a four-hour drive from his home in the Bay Area. And since Korn is in the hospitality industry, he also researched hotels that were for sale in the city. Korn found a property that had been on the market for a while and contacted a broker. One week after Korn saw the mountain from the airplane, he made a trip to the City of Mount Shasta, and soon after he purchased the hotel. Today the property has a new look and name—the Inn at Mount Shasta. When I spoke to Korn on the phone about the Inn, I enjoyed hearing about his approach to business. 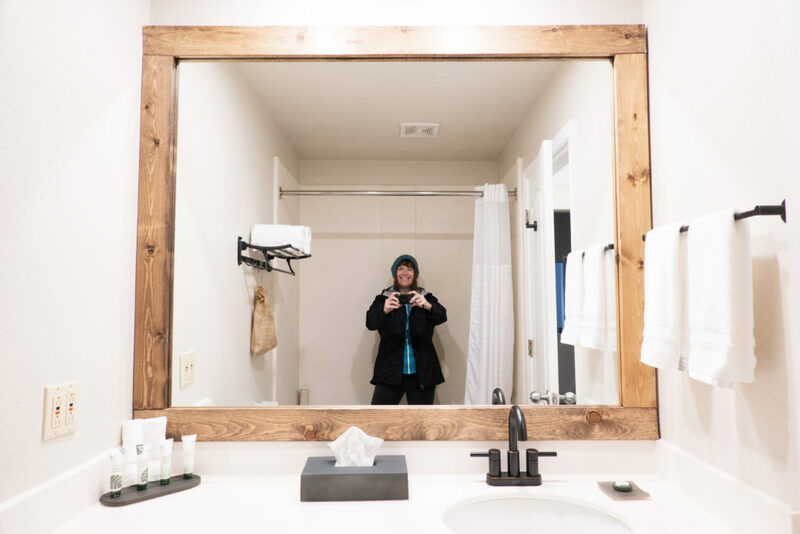 Concerning the Inn at Mount Shasta, he said, “the idea isn’t to compete with other lodging properties but to expand the market and to bring more people to Siskiyou.” I loved his emphasis on collaboration, not competition. Korn also said that he wants the Inn at Mount Shasta to have a “basecamp feel, where travelers can get to know one another.” Korn and his staff are on their way to accomplishing that aim. The Inn is a great jumping off point to explore Mount Shasta and beyond. Also, the staff were friendly, helpful, and kind! Everyone I encountered was smiling, and to me that says a lot about how the property is managed. If you’re planning a trip to Siskiyou this winter, or later in the year, consider staying at the Inn at Mount Shasta. Below are additional details about the property, as well as nearby sites and restaurants. Room rates are between $79 and $119 (this doesn’t include taxes). The Inn offers king rooms, queen rooms, and suites that are family sized. The Inn at Mount Shasta is located in the heart of the city and is within walking distance of cafes, restaurants, and a grocery store like , Mount Shasta Pastry, Mike & Tony’s, and Berryvale Grocery; an interesting local haunt and a great place to buy snacks, food, and beverages for your room. The Inn is also close to shops in downtown Mount Shasta, and it’s near a variety of sacred spaces, like Lake Siskiyou, Castle Lake, Sisson Meadow, the Gateway Peace Garden, and the mountain. I was pleasantly surprised to find hardwood flooring in the entryway; perfect for a guest like me because I tracked snow and moisture from the outside world into the entrance of the room. It was easy to clean up my tiny snow piles with a towel. Also, our room had a satellite TV, complimentary Wi-Fi, a microwave, a refrigerator, a coffee maker, and a desk. As a writer and photographer, I assumed that I’d utilize the desk. Instead, I spent the early mornings in the sitting room because there was a couch and a coffee table; a great place to write travel notes and edit photos. The Wi-Fi wasn’t fast; a common issue in Siskiyou. However, it wasn’t a problem for me because I wanted to spend minimal time online while we were in town. Instead of looking at my phone, I slept longer in a cozy king bed, and a good night of sleep allowed me to enjoy our adventures in the area. While we were in Mount Shasta, it was grey, rainy, and snowy, so we couldn’t see the mountain from the Inn. However, Mount Shasta hovers over the city like a protective friend, and there are other vantage points—besides the Inn—to see the mountain. The bathroom was bigger than I expected. I loved the fluffy white towels. Also, the complimentary shampoo, conditioner, lotion, and soap were vegan and cruelty-free; that was a nice touch. Also, the hairdryer was stored in a small bag above the toilet. I liked that detail because it gave us extra counter space. The Inn doesn’t offer a complimentary breakfast on site. However, there are restaurants within walking distance of the Inn. For example, Lilys offers breakfast, lunch, and dinner, and it’s only a few blocks away. My husband and I had brunch at Lilys, and the food was incredible! I had a Brussel Sprout Brunch Salad ($15), which included fried Brussel sprouts, bacon, red onions, tomatoes and Laura Chenel’s goat cheese! While I awed over my salad, my husband had the Short Rib Benedict ($18). He shared the ribs, and they were tender, tasty, and utterly delightful. Other great dining options near the Inn include Seven Suns Cafe, Mount Shasta Pastry, Mike & Tony’s, and Hari Om Shri Ram Restaurant. Hari Om Shri Ram is a short drive from the Inn, and it didn’t disappoint us! The menu is limited during the winter season because they don’t have as many patrons. However, they offer a full menu in spring and summer, so you’ll find more options to choose from. The owner showed us their large outdoor patio while we were there, and it’s a great space to savor delicious food along with an epic view of Mount Shasta. Later in the evening, we took our full bellies and leftovers back to the Inn. It was nice having a small refrigerator in our room. Other than our cozy room, I enjoyed the check-in space at the Inn. I loved the decorative electric fireplace, and I could have spent a few hours journaling at one of the tables while drinking complimentary Stash Tea. The check-in area is small which makes the space feel cozy and welcoming. Also, the property has a large and beautiful green lawn. During the warmer months, the lawn area will be a sweet place to relax and to mingle with fellow travelers. Plus, there is an outdoor fire pit where guests can socialize and warm up on cool summer nights or in the winter. Amenities that are coming soon include a hot tub, and hopefully a small wine and beer bar for guests. The Inn at Mount Shasta is a beautiful spot to spend a night, long weekend, or a week. It’s quiet, comfortable, and a great place start your adventure in Siskiyou!